Every homemaker knows that time must be managed well, otherwise the whole day may yield few results. When you keep track of your time and work on your priorities you have more time in the day for your most passionate work. Whether you are a full-time homemaker or work part time (for a paycheck), domestic tasks must be handled wisely so they do not take up more time than necessary. 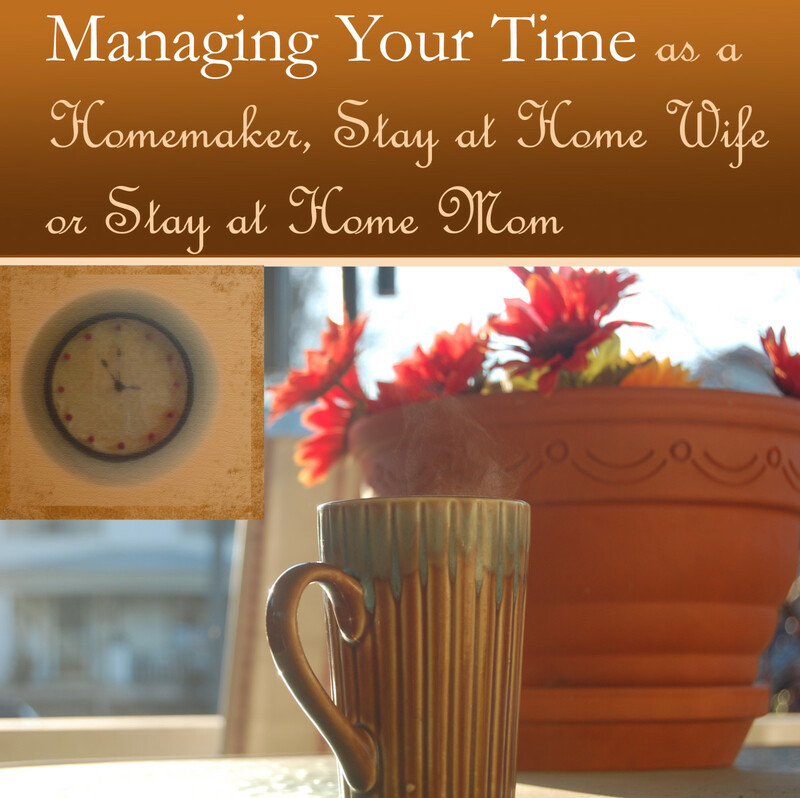 Read more in my article: Managing Your Time as as Homemaker, Stay at Home Wife or Stay at Home Mom.